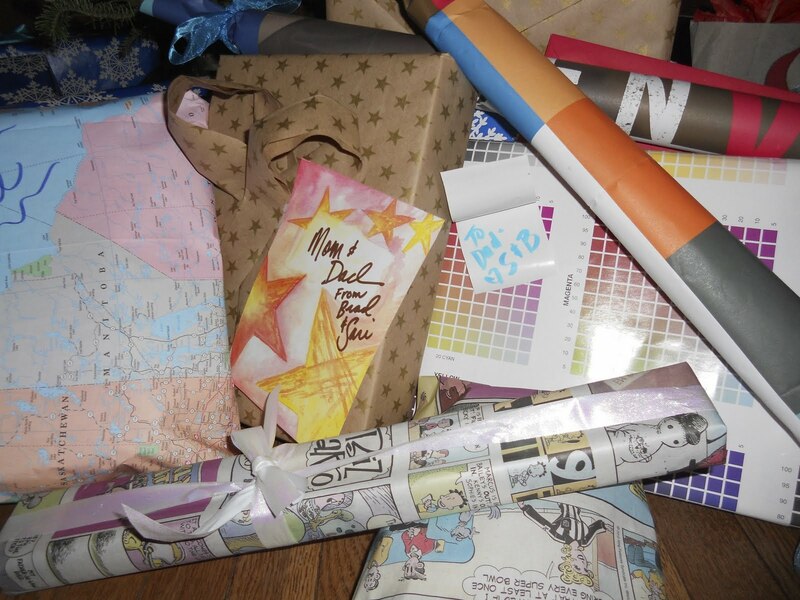 Make Wrapping Paper from Re-using Old Maps, Posters, and More! I have been saving maps, design posters, beautiful images from paper company samples, and the good old comics page of the paper. Not to mention, that I save wrapping paper and bows/ribbons from previous events to RE-USE. This is so easy to do and it not only RE-purposes things that might otherwise be just thrown away or at least recycled in the paper bin – BUT it also is budget-friendly. The gifts always stand out under the tree and people are anxious to see what they are wrapped up in!